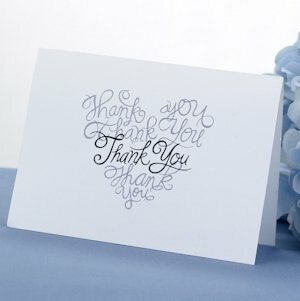 Recognize their kindness and generosity with these "heartfelt" thank you cards! 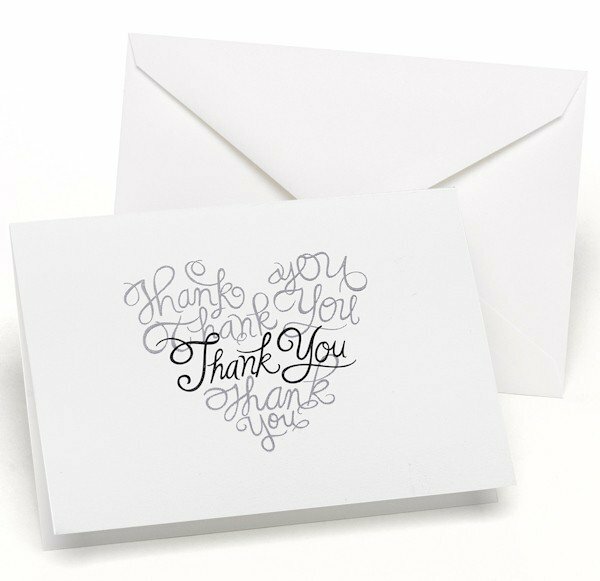 Each 4 7/8" by 3 1/2" card (size when folded) features a pretty heart design on the front that is crafted from a number of "Thank You" phrases printed in black and silver. The cards open to reveal a blank slate so you can show your appreciation in your own words. The set includes 50 cards and 50 plain white envelopes. Keep these cards handy during all stages of planning your wedding - from the initial acknowledgement of your bridal party to the final thanks for your guests and helpers!